We launched Qnary with the simple goal of optimising the digital footprint of executives. Over the last six years, we've used this mission to become a leading global player in workforce advocacy technology and solutions. We have an amazing team of developers, SEO experts, data analytics gurus, and digital content specialists who provide enterprise executives and employees with dynamic strategies to strengthen their online presence. We work with over a hundred of the largest companies in the world across a full range of business verticals (banking, packaged goods, retail, energy, tech, media, real estate, insurance, education, healthcare, automotive, and food and beverage). Our Qnary Nest (headquarters) is in New York City - USA but we also have offices in Barcelona - Spain, Milan - Italy, Sydney - Australia, Singapore, and Tokyo - Japan. We deliver our solutions to clients globally and in many languages such as English, Spanish, Japanese, Mandarin, French, Italian, and German. Qnary made the 2018 Entrepreneur 360™ List of the most entrepreneurial companies in America. Qnary was built by digital strategists and product specialists determined to optimise the executive digital footprint. Bant has a lengthy global communications track record steeped in guiding digital media innovation. Before launching Qnary, Bant was the Worldwide CEO of Interpublic Group's global search and social media agency Reprise Media. Past roles have included President of global media agency Initiative, Executive Director of the IPG Media Lab, founder of Ansible (IPG's Mobile Marketing Agency), and Executive Vice President of global digital communications at Universal McCann (IPG). Bant was inducted into the Advertising Hall of Achievement in 2010. Andrew has 20 years experience working with brands on portfolio management, integrated communications, advertising and brand strategy. Prior to launching Qnary in Australia, Andrew was most recently the Managing Director of Wunderman, WPP's Digital Agency combining data and creativity. Past roles have included being Managing Director of WPP's Global Brand Unit, Red Fuse boh in North America and Asia, where he was also a member of the Global Leadership team. He was also the Managing Director of Photons Integrated communications pillar and has held senior positions with Young & Rubicam since 2002. Mark has been involved in SEO and social media optimisation for more than a decade and leverages that experience to ensure that Qnary delivers holistic and effective digital identity management to all Qnary users. 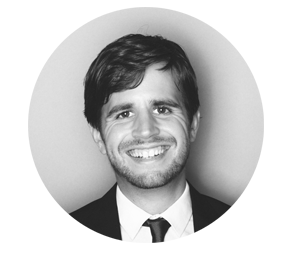 Prior to joining Qnary, Mark served as the SEO Lead at Gilt Groupe and Director of Organic Search and Social Optimisation at Reprise Media where he developed and managed organic visibility strategies for a wide range of brands such as Kia, Sharp USA, Verizon, and the North Face. Originally from Barcelona, Ray worked at Mercer consulting before moving to the United States, where he worked as an associate for a Chicago-based private equity firm. He also ran the operations department for a large Spanish food importer, leading the implementation of their e-commerce line. With over 20 years of marketing communication experience, Rachel has worked with some of the biggest global advertising agencies; McCann, JWT and GPY&R leading both global and local brands through a myriad of strategic and creative solutions. In a consultant capacity she’s handled account management assignments, worked in qualitative research, devised training and KPI programs for agency management and conducted countless reviews on various categories.